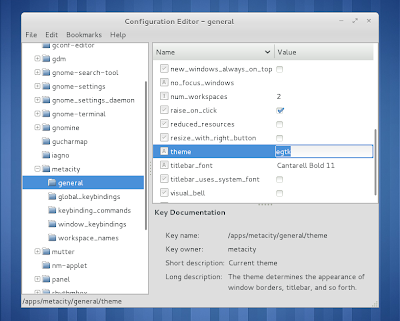 In the latest GNOME 3, changing the theme isn't as easy as you're used to. Using Gnome Tweak Tool you can change the GTK theme but how about the titlebar (Mutter/Metacity theme)? Read on! To be able to use a GTK theme, extract it under /usr/share/themes (for all users) or ~/.themes (if this folder doesn't exist, create it). Update: in newer GNOME Tweak Tool versions you can change the window titlebar theme (Metacity / Mutter) as well! 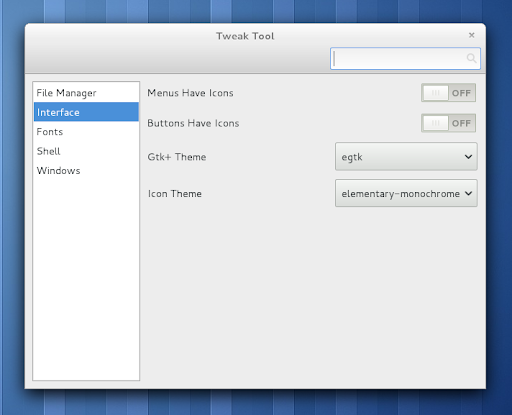 On the same tab in Gnome Tweak Tool you can also change the icon theme. To be able to change the GNOME 3 Mutter theme (I hope that's how it's called now) - that's the titlebar theme in GNOME Shell -, you need to install the theme under the ~/.themes folder. Yes it's weird, but that's how it works right now, hopefully this will change in future GNOME 3 releases. Update: in the latest GNOME 3 (up to date packages in Fedora 15), the themes can be installed under /usr/share/themes! The changes don't take effect immediately so you'll have to logout for the changes to take effect, or press ALT + F2 and enter: "r". The instructions in this post were tested on Fedora 15 beta (with GNOME Shell), GNOME Shell built using jhbuild in Ubuntu 11.04 and the classic GNOME3 session in VirtualBox.